NY based Raj Haldar, multi talented producer and beatsmith, had 13 years of classical piano training and 7 years in jazz drumming before making the move into hip hop under the moniker Lushlife. 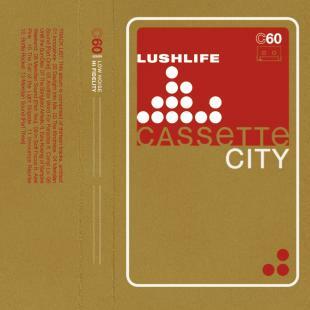 After garnering much attention (not to mention over two million downloads) from his Dangermouse-esque mashup of Kanye West’s 'College Dropout' with the Beach Boys’ 'Pet Sounds', and doing remixes for heavy-hitters like Slum Village, Lush is now dropping hotly anticipated new album 'Cassette City', to be released on Rapster Records in June 2009. Jazzy beats reminscent of Nas in his prime meets early Four Tet and Prefuse 73, downtempo eclecticism and lush electronica. Haldar provides the bulk of the vocals with guest features from Camp Lo and Ariel Pink. Snoop Dogg and Jurassic 5 are already singing his praises ... and now you!